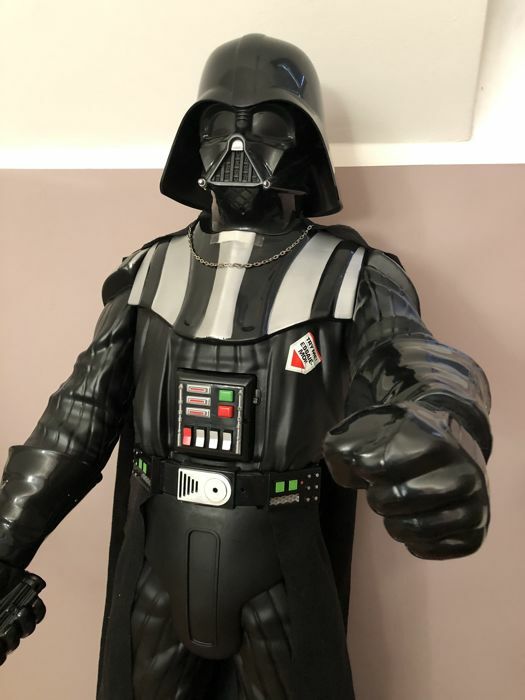 Straight out of the Star Wars universe comes the Dark Lord of the Sith himself, Darth Vader in Jakks Big-Figs Colossal scale action figure line! 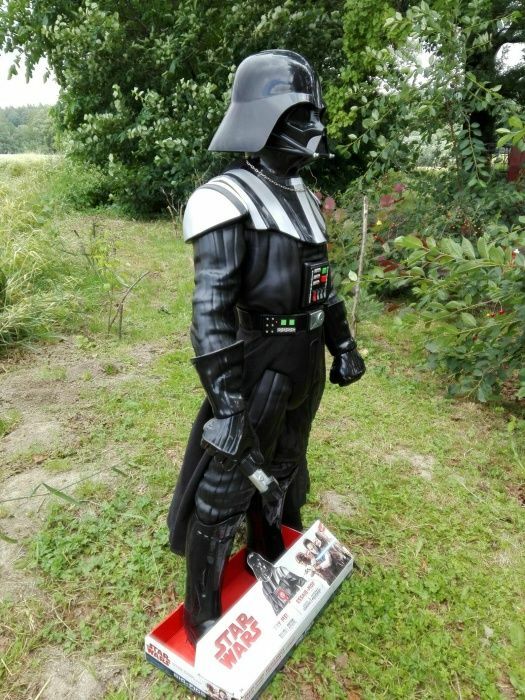 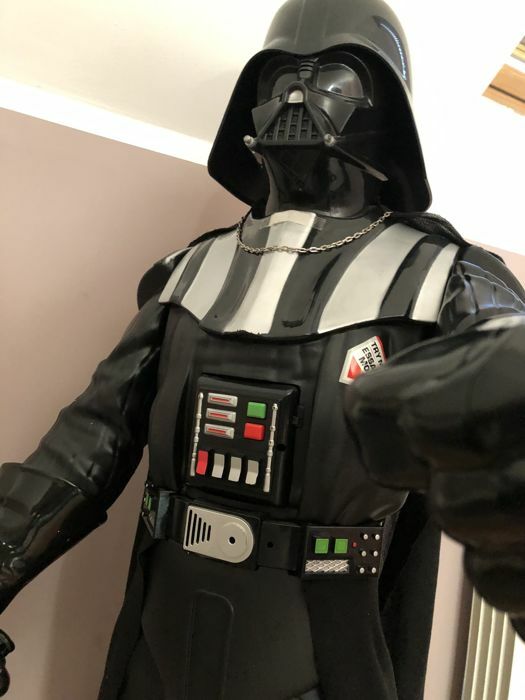 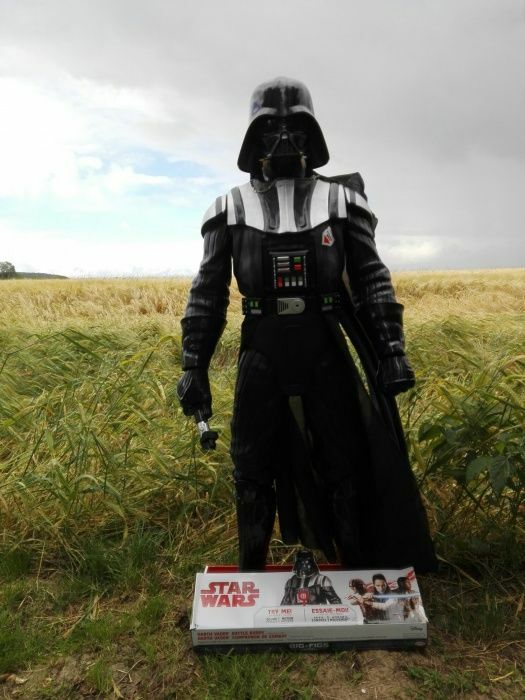 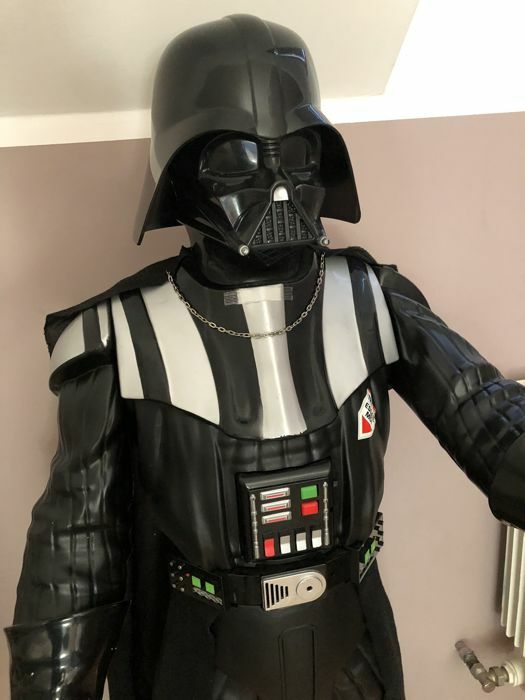 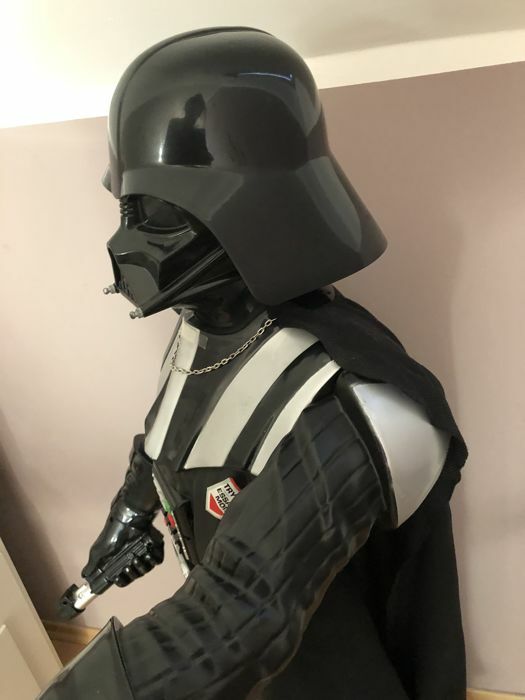 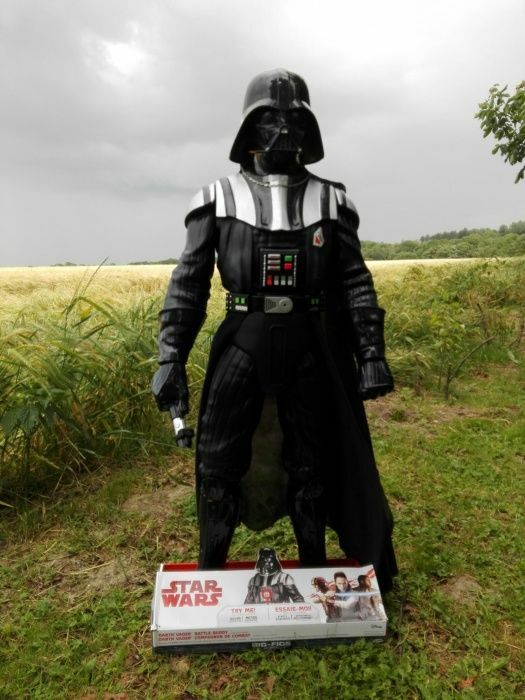 Standing at a whopping 120cm tall Vader includes an amazing motion detection feature. 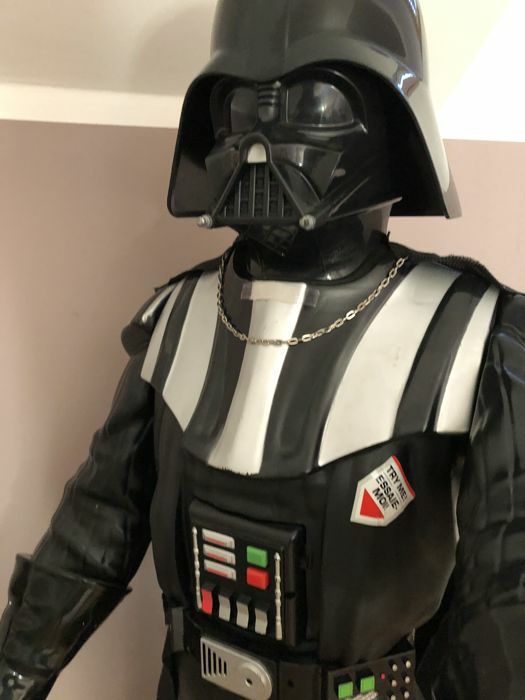 Set him to either "friend" or "foe" mode through a simple belt mounted switch and he will respond to all visitors by issuing authentic sound clips (unique to the mode he is set on!). 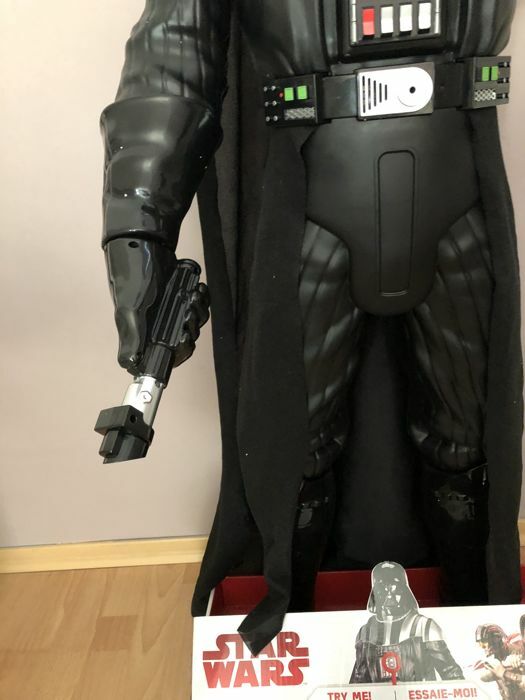 Even at this amazing size, Darth Vader features five points of articulation for fully poseable play. 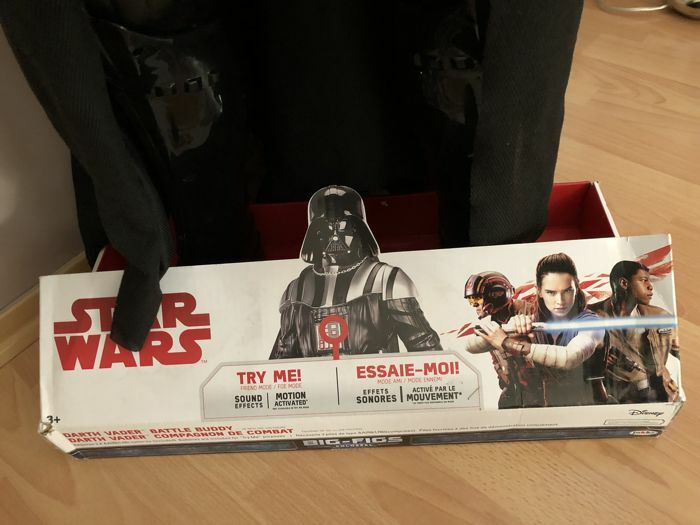 Will be properly protected and packed with tracking.